Exactly one month from now, the J5NAR/6V2R team (HA0DU-Steve and HA0NAR-Laci) will start its journey to Guinea Bissau and Senegal, with the first stop in Cabrousse (South-Senegal). From there, we will drive to Guinea-Bissau and expect to be on the air around 9th of February 2013. Additionally, we plan to be active (in February 2013) from Carabane island (IOTA AF-078) with callsign6V2R/P and from Jeta Island (IOTA AF-093) with J5NAR/P. We would like to remind you that the entire trip and stay on islands is paid in full by each of the operators and that any contribution/support will help us to reduce the high logistical costs. 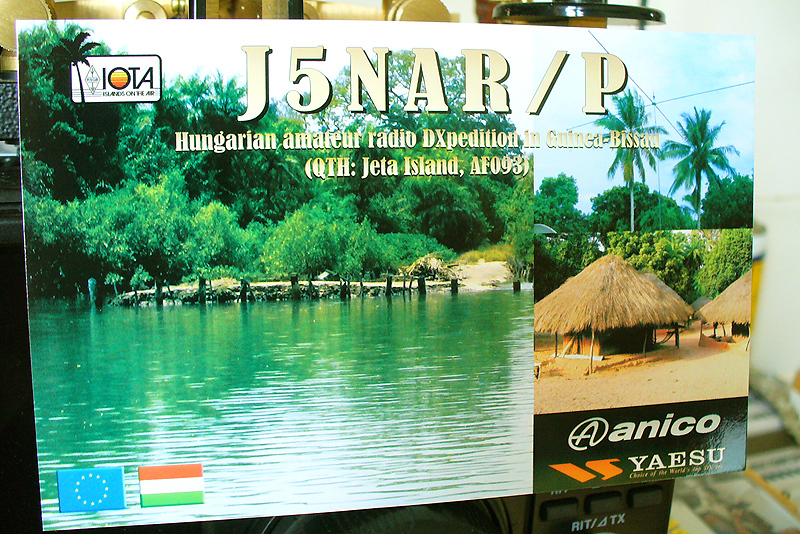 QSL for both J5NAR and 6V2R to Laci HA0NAR (direct or via bureau).